A LITTLE divine intervention is believed to have helped Hayaku Harry break his maiden status at Newcastle Saturday Night. Having his fifth start for trainer Bruce Fox, Hayaku Harry upset punters when scoring at $21.80 with Leigh Sutton in the cart. Pleased with the two-year-old’s performance, Fox believes Hayaku Harry’s former owner, Gerry Cairns, played a role in the victory. “I’ve got no doubt Gerry was up there waving him on,” Fox said. “I tried to get him to the races for Gerry, but sadly he never got to see him race. “He passed away not long before Hayaku Harry’s first race, but would come down all the time and watch him work. “It’s taken a handful of starts to get the win, but Gerry would’ve been a part of it. Covering the mile in 1:59.4, the son of Auckland Reactor provided Fox with the second leg of a double, following Jay Peez Regal’s triumph in the opening event. Also driven by Sutton, the six-year-old led throughout to account for Elect To Go and Lifeontopofdeworld in 1:57.7. 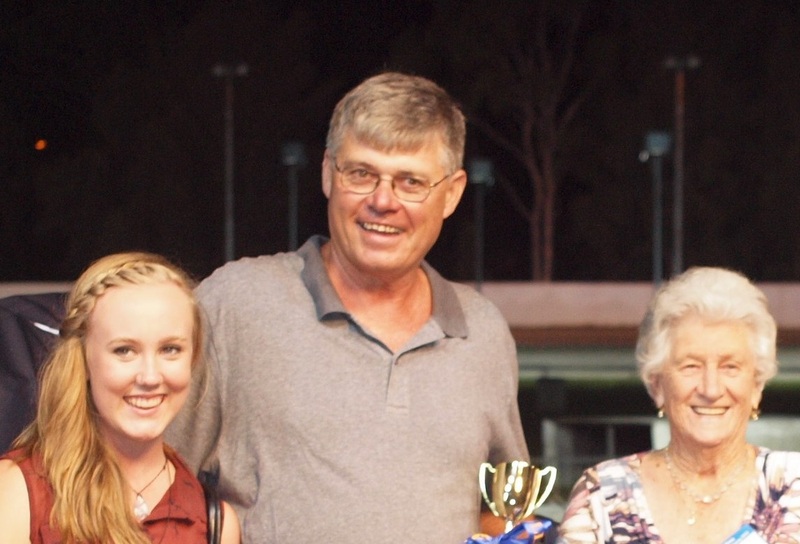 An injury-plagued gelding, Jay Peez Regal stretched his record to four wins from 12 starts. “He debuted in May 2013 and this preparation is the first time he has managed to have four starts,” Fox said. “Mentally he is tough, but his body isn’t as strong as his mind. His last couple of starts look disappointing on paper, but he has gone better than is reads. “He’ll have a few days before we get fair dinkum again, then I will find a suitable race.